One of the best reasons to cut the cord is saving money. With cable costs continuing to rise faster than inflation, it just makes more sense to make the jump to streaming and free over-the-air TV. Of course, streaming and OTA aren't without costs of their own – but you can keep costs low by opting for an affordable streaming device. Investing in a streaming device makes sense for cord cutters, because all the streaming services in the world won't replace cable if you can't watch your shows on your regular TV. 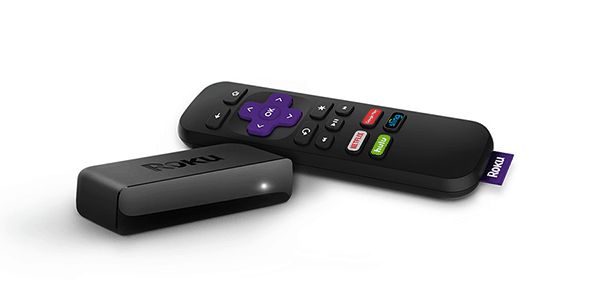 Streaming devices like the Roku take your streaming content and make it as easy to access as cable was. You can spend big bucks on streaming devices if you want to – and if you're interested in plunking down some change, you should check out our list of the best streaming devices. But you may find that you're just as happy with one of the streaming world's lower-cost options, which is where this list comes in. This is our list of the best streaming devices under $50. 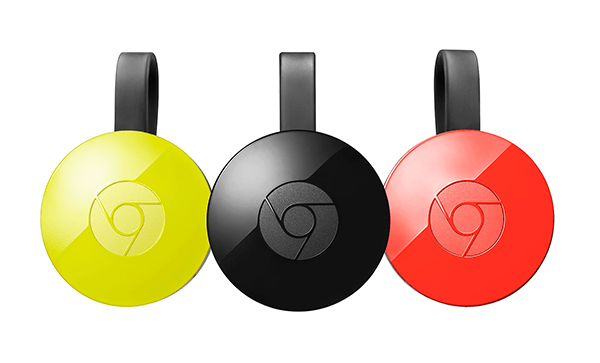 Three Chromecasts – but you'll only need one. The Chromecast was the original low-priced streaming device. It works a little differently from other streaming sticks, in that it leaves things like content discovery (industry lingo for “menus that help you choose what to watch”) on your computer or mobile device. Once you've selected your show, you can tap a button and sling the content up onto your big screen via the Chromecast. This approach keeps the Chromecast itself pretty lightweight – there's not really an operating system or anything to worry about, for instance. The Chromecast is a highly portable, super-cheap streaming device, and it's a great choice for anyone who prefers to find content on a device of their choosing rather than on their streaming device itself. There are a few streaming sticks on the market, and they all offer more or less the same deal: they're lower-powered, Wi-Fi-only versions of their big brother streaming boxes. So the Roku Streaming Stick is a lighter version of the Roku Ultra, and the Amazon Fire TV Stick is a lighter version of the Fire TV. The Fire TV Stick features the same Fire TV operating system as its big brother. 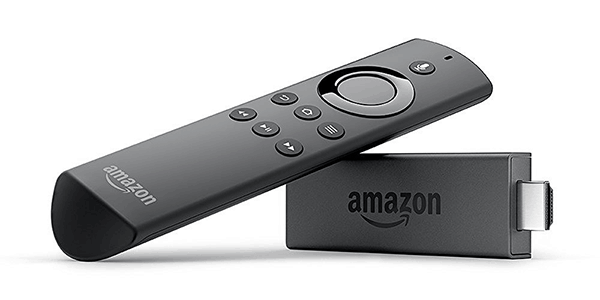 Unlike the competitor Roku Streaming Stick, the Fire TV Stick preserves the voice search feature from its full-sized compatriot. Having Alexa in such a small and affordable device is a big part of the appeal here. Roku has a couple of great low-cost offerings, and the lowest-priced Roku of all is the Roku Express. The tiny Roku Express is Wi-Fi only, and it lacks the point-anywhere remote of the Roku Stick (that means you'll have to aim the remote at the device when controlling it – which, in turn, means that the Roku Express is the only device on this list that has to be visible instead of hidden behind the TV). The Express isn't too powerful, but it gets the job done nicely and earned a positive review from us. One list, two Rokus! Roku is taking the budget-conscious streaming market very seriously, to the point where you may need help deciding which of their cheaper devices is right for you. 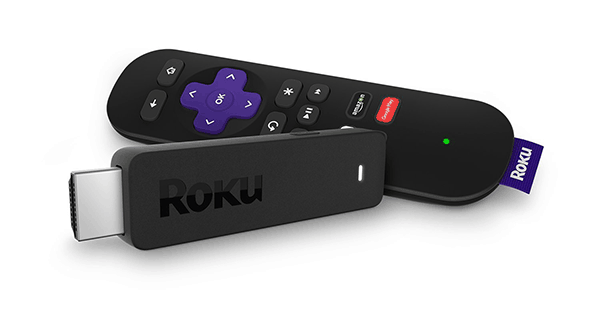 Like the Fire TV Stick, the Roku Streaming Stick is a small and portable counterpart to a full-sized streaming box (in this case the Roku Ultra, which is one of the best full-sized streaming boxes around). The Roku Streaming Stick is on this list because of how much we like the Roku operating system. Roku's super-simple OS makes it easy to find and view your content, and the Roku Streaming Stick gives you a fairly powerful device (it has a quad-core processor, which the Express does not share) to go with that great OS. How do all these devices compare with the Apple “stick”?